Dubai, UAE, and 24 March, 2016: The heads of the national motor sport authorities in Saudi Arabia, the UAE, Qatar and Bahrain have joined forces to develop a new regional series aimed at attracting and developing new talent. The format for a new GCC motor sport championship will be shaped over the next few months by officials of the Saudi Arabian Motor Federation (SAMSF), the Automobile and Touring Club of the UAE (ATCUAE), the Qatar Motor and Motorcycle Federation (QMMF) and the Bahrain Motor Federation (BMF). 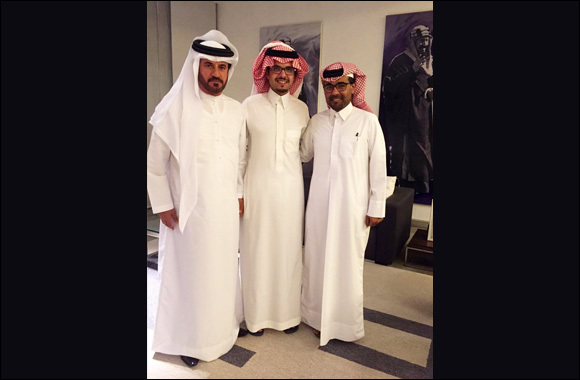 This follows a meeting in Riyadh yesterday between SAMSF President Prince Sultan Bin Bandar Al Faisal, ATCUAE President Mohammed Ben Sulayem, and new QMMF chairman Abdul Rahman bin Abdul Latif Al Mannai. Sheikh Abdullah bin Isa Al-Khalifa, the BMF President, was unable to attend the meeting but took part in a conference call with his three counterparts to decide on a plan of action and applauded the initiative. “The future of motor sport in this region depends on the development of a new series of events which are more affordable, and which are designed to attract and accommodate a new generation of young talent,” said Sulayem, who received a warm welcome from Prince Sultan. “The national motor sport authorities of the UAE, Saudi Arabia, Qatar and Bahrain are committed to working closely together to design a new championship which will make regional motor sport sustainable in the years ahead. Following the meeting Prince Sultan, Sulayem and Al Mannai spoke by phone to FIA President Jean Todt to convey the highly positive nature of the discussions. Sulayem said the planning of the new championship will take into account the region’s historic association with rallying, as well as the growth of circuit racing in recent years, in order to give the series the broadest appeal.